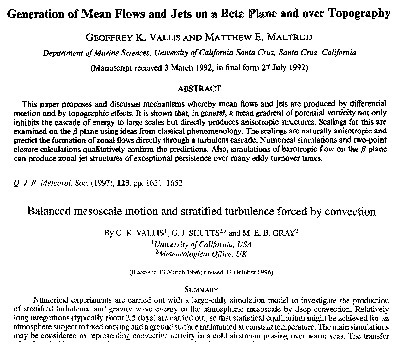 This page contains a number of papers of historical interest concerning large-scale dynamics and the general circulation of the atmosphere and ocean. (I dug many of them up while researching a book on atmospheric and oceanic dynamics.) With time, this page will become more complete and more organized and be arranged thematically, and more of the papers will be annotated. If you would like to contribute a paragraph or short article discussing a particular paper and setting it in context, or would like to suggest the inclusion of a particular paper, or would like to hear about periodic updates to this site, please email me by or by parsing g dot vallis at exeter.ac.uk. If you click on the headings below you will find papers on the history of the circulation, on atmospheric circulation, on ocean circulation, and on dynamics in general. All of the sections are very incomplete, and will evolve as time permits. At the moment the selections do not even reflect my own view of what a coherent and balanced set of articles would be, let alone any kind of community consensus. This section contains papers that give a historical account or interpretation of something, rather than being original research papers in themselves. 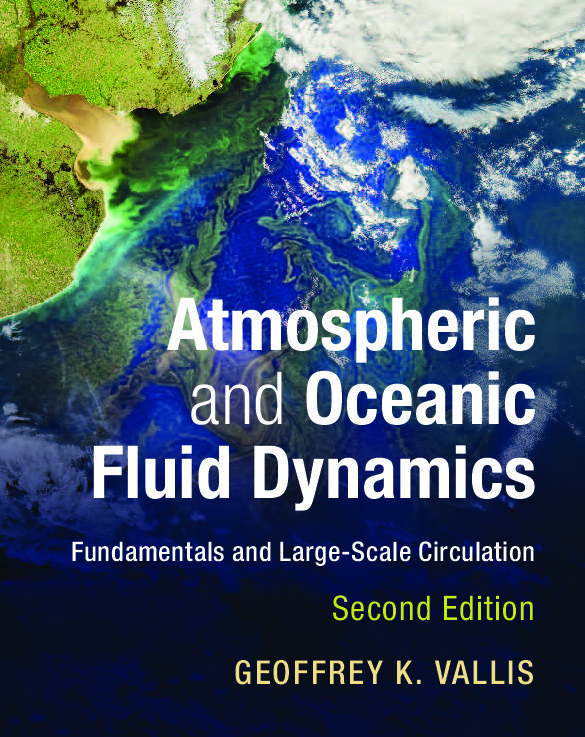 This section contains papers on atmospheric dynamic and circulation. The current emphasis is on large-scale phenomena and the general circulation. This section contains papers on oceanic dynamics and circulation. The current emphasis is on meso- and large-scale phenomena and the general circulation. 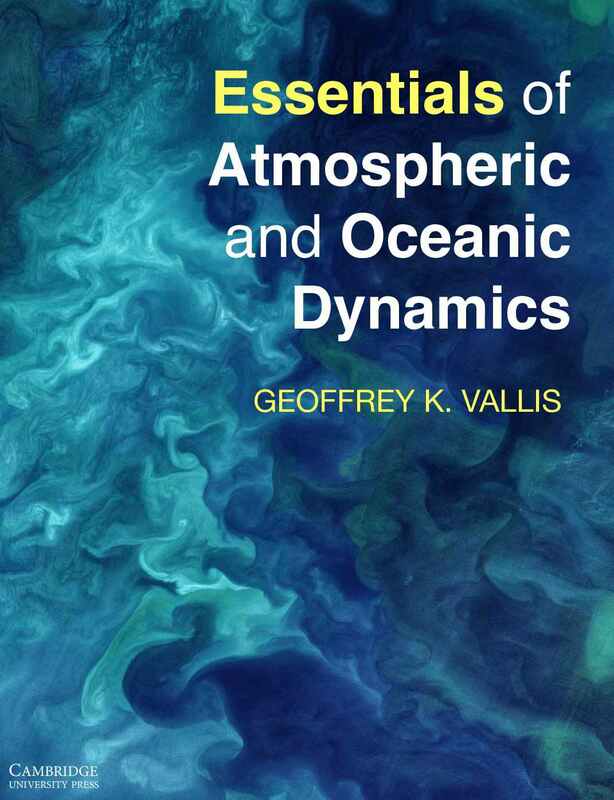 This section contains papers on dynamics in general, including geophysical fluid dynamics, turbulence theory, instabilities, etc., that is of interest to both oceanographers and atmospheric scientists. It includes papers by Coriolis, Kelvin, Taylor, Ertel, Rossby, Eady, Charney, Phillips, Welander and others. Contains just a very few (at the moment) papers on climate, radiation etc., that are not particularly dynamical. about any of the above.